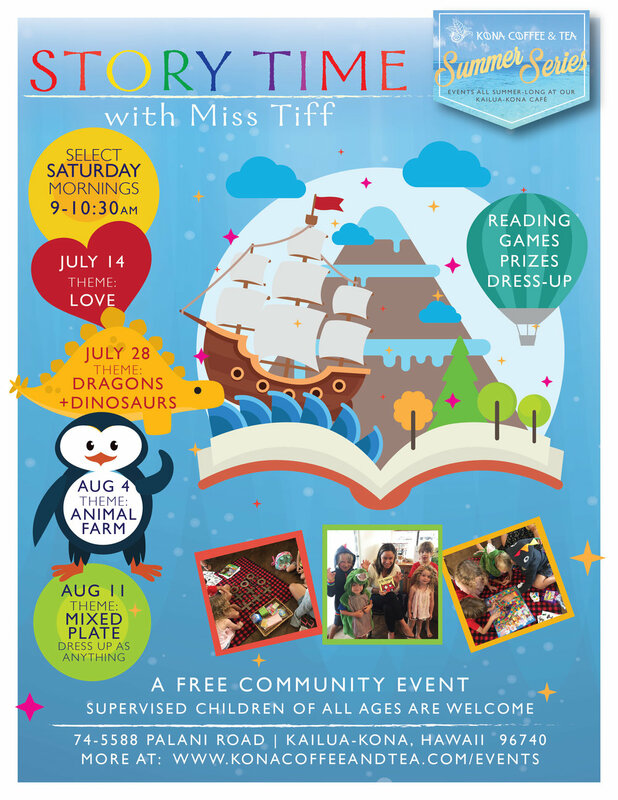 On Saturday, July 28th, at 9am, join us for Story Time with Miss Tiff at our café. The book and dress up theme is “DRAGONS & DINOSAURS”, so dress up as your favorite mythical or prehistoric creature. Come enjoy readings of the books: Dragons Love Tacos, How Do Dinosaurs Say I Love You?, Dinosaur Kisses, and others. This is a free event open to supervised children of all ages. Miss Tiff with participants at our June Story Time, themed "Monsters"
Whether its teaching drama at Innovations or rocking the open mike scene, Miss Tiff is a true entertainer at heart. Come enjoy coffee and breakfast while the kids have story time and games (with prizes! ), and we'll do a group picture at 9:30am.Dressing up is optional but encouraged, and we’ll be giving prizes to the kids with the best costumes. If you have a favorite book that goes with the theme, bring it to share with the group. Tips for Miss Tiff are not required, but are appreciated. Story time with Miss Tiff is part of our Summer Series of events at our Kailua-Kona café.